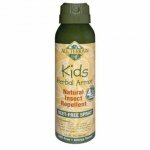 Deet-free repellent that works. 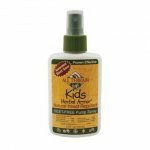 Great against mosquitoes, ticks, gnats, flies, ants, black flies and other pesky insects. Clinically tested to be 100% effective for 2 hours, 95.8% for three hours. 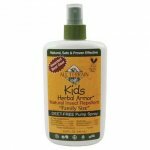 Has six essential oils, time-released encapsulation for long lasting protection. Sweat and water resistant; non-greasy. All natural ingredients, biodegradable and the packaging is made from recycled, recyclable and/or biodegradable material.